It turns out that when you’re building a balloon that flies up to 80,000 feet or so in altitude, it’s better to wear very fluffy socks than thin ones. Very fluffy socks help minimize friction when you need to step on the balloon’s envelope during the balloon-building process. This in turn helps prevent tiny holes from forming and ensuing leaks. Another interesting discovery: When you’re building a self-driving car, it’s okay to have no steering wheel or brake pedal, but you do have to include rearview mirrors (they’re required by California’s vehicle code). 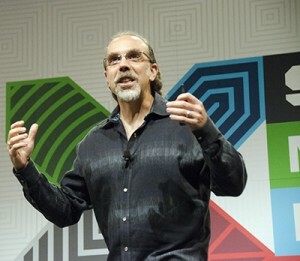 These are just a few discoveries that Astro Teller, “Captain of Moonshots” at Google[x], shared during his rapid-fire, free-range keynote talk at South by Southwest (SXSW) Interactive yesterday. Early in his keynote, Teller explained that Google[x] was nicknamed “the moonshot factory,” after President John F. Kennedy’s 1961 call to land a man on the moon by the end of the decade. Teller further explained that the word “factory” was used because they wanted to approach their research with the “maniacal focus of a startup” and to have a real impact on people. 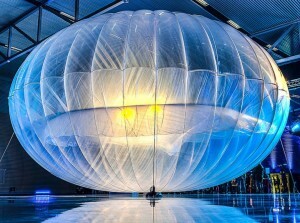 Project Loon is a project with major chutzpah, given that four billion-plus people on the planet are not currently connected to the Internet, according to Teller. 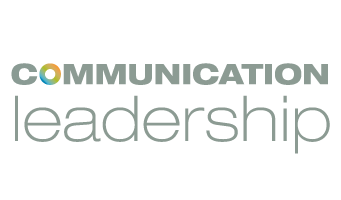 These individuals tend to live in remote, rural areas where telecom companies have not deemed it worth the investment to build cell towers and other infrastructure. To enable four billion more people to become digital denizens, Project Loon balloons will travel at the edge of space and use a wireless communication standard known as LTE. Balloons will communicate with each other and with phones and other LTE-enabled devices on the ground to provide people with Internet access. Weigh 1 percent, cost 1 percent and operate at 2 percent of the atmospheric pressure of a traditional cell tower. The very-fluffy-socks-are-best discovery was just the tip of the iceberg, part of an extensive testing effort to discover why the balloons kept leaking. This was one of many times where the issue of dealing with failure came in—one of the central themes in Teller’s keynote. “Sometimes the most interesting failures are the ones you don’t expect … We misjudged how hard it would be to make the balloons,” Teller says. In addition to the sock testing (workers actually performed line dances in various socks for that test), the Project Loon team intentionally created leaks and flew the balloons so high that they exploded. Project Loon is just one of several major Google[x] efforts. Others that Teller mentioned in the keynote include the self-driving cars, Google Glass, Project Wing and Makani kites. For the Makani kites project, which centers on airborne wind turbines designed to reduce the cost of wind power, the project team was actually directed to fail. As Teller explains, “Larry Page said ‘Make sure you crash at least five of the test vehicles.’” Not crashing after many hours of flying was actually problematic. “We learned a lot, but we didn’t crash. We failed to fail,” Teller adds. Teller points out that failing is important because failing means learning. “If you’re not failing at least some of the time, you could be learning faster. If you’re not breaking your equipment some of the time, you could be learning faster,” he explains. It’s also better to fail earlier in the process than later because failing earlier is less expensive.